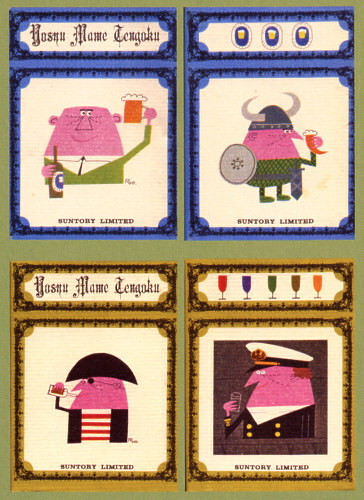 An advertising character created in 1958 for Japan's Suntory whiskey, Uncle Torys became a popular figure in print ads, TV commercials, collectible figures, and all that kinda jazz. 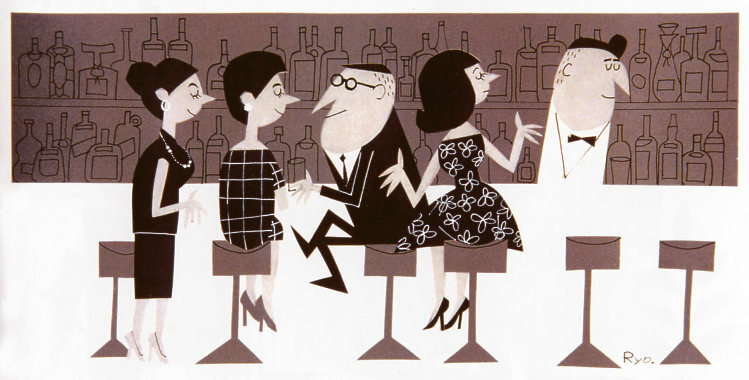 Creator Ryohei Yanagihara started working for Suntory in 1954 and also became editor of their hipster magazine, Yoshu Mame Tengoku (roughly translates as "a little bit of liquor heaven"), which was standard reading at the Tokyo Torys Bar. Like Tony the Tiger or other great advertising characters, Uncle Torys transcended his commercial origin and became one of the most widely recognized icons in postwar Japan. 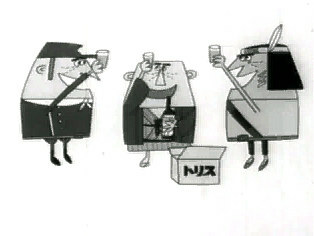 By 1959, Ryo left Suntory to be a freelance artist, although the Uncle Torys campaigns continued into the 60s. 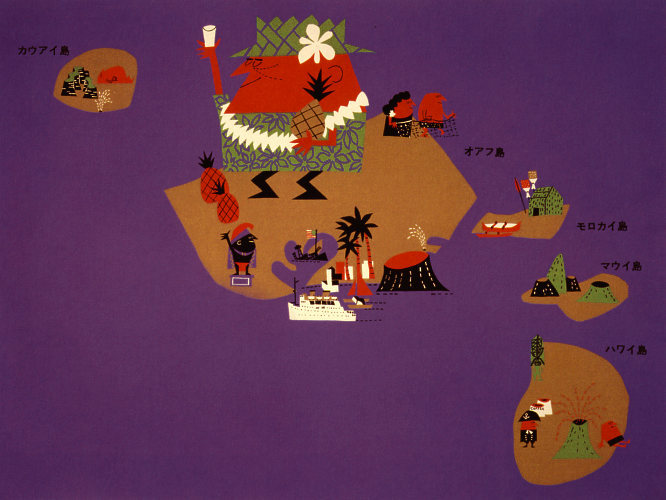 In 1960 he co-founded the Animation Sannin No Kai ("Three People in Animation") with Youji Kuri and Hiroshi Manabe, and they started an animation festival, each contributing experimental handmade animated films influenced by opening title sequences from western films. 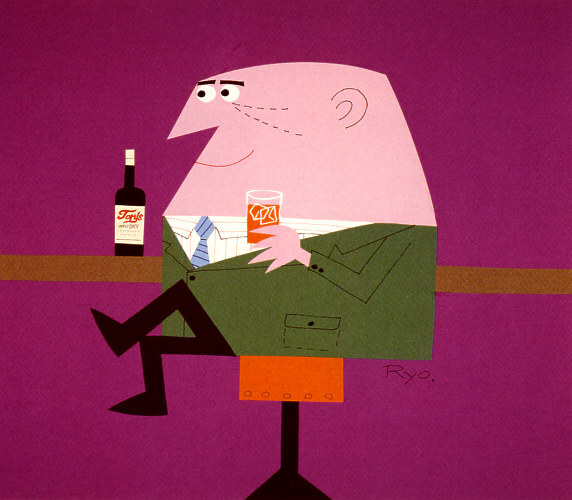 Ryo's animations were characterized by the same bright graphic style as his illustrations, and he continued making short films up until 1966. Apparently Ryo himself created title sequences for over 40 films, including the Japanese version of the American film, Around The World In 80 Days. I've never seen any, but they're described as showing a clear influence from Saul Bass among others, and must be fun to see! Later, Ryo gravitated toward his true love since childhood, ships and vessels of the sea, and was able to combine his interests when he started doing illustrations for Japanese shipping lines, notably the Mitsui O.S.K. Lines which made him an honorary Captain in 1969. Mitsui O.S.K. 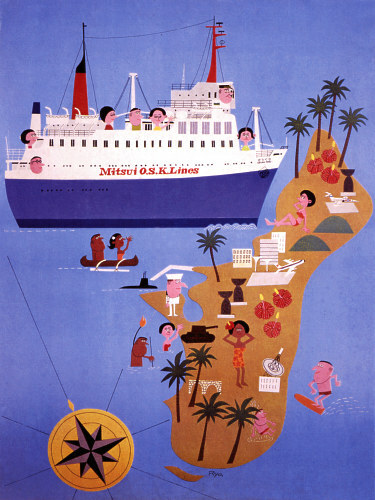 Lines has a great website called the Ryohei Yanagihara Museum which gives some interesting biographical information in the Library, along with Exhibition Rooms with a huge assortment of his illustrations / paintings of ships, in a wide sprinkling of exotic settings. 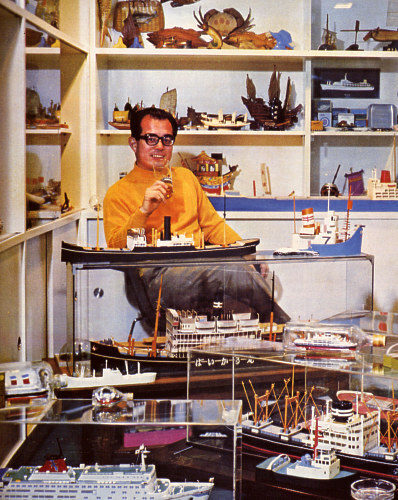 But before you go, here below is a cross section of Yanagihara's work, including more illustration work, one of his Torys whiskey commercials, and even an Uncle Torys figure!